Bhubaneswar : The Odisha government announced one-day state holiday tomorrow to mark the demise of former Prime Minister and Bharatiya Janata Party (BJP) patriarch Atal Bihari Vajpayee, who breathed his last on Thursday. All government offices, schools and colleges will remain closed tomorrow as a mark of respect to the charismatic leader. Besides, all banks functioning in the state will also remain closed tomorrow under NI Act, informed sources at the Chief Minister’s office. Moreover, the Centre has declared seven-day national mourning till August 22 to mark the demise of former Prime Minister. 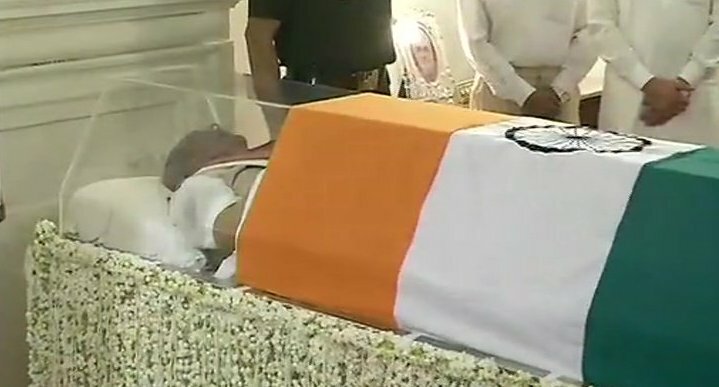 In a circular, the Home Ministry said national flag would be flown at half-mast from today for seven days across India and a state funeral would be accorded to Vajpayee. Give Responses for "Vajpayee’s demise: Odisha declares state holiday tomorrow"